This 31-story commercial office building is being constructed atop the Rosslyn Metro Station directly across the Potomac River from Washington, D.C. When completed, it will be the tallest in the metropolitan area and will feature a public observation deck offering unparalleled views. Typical slabs are 27,000 ft2 and 10" thick with mild steel reinforcement and post tensioning. 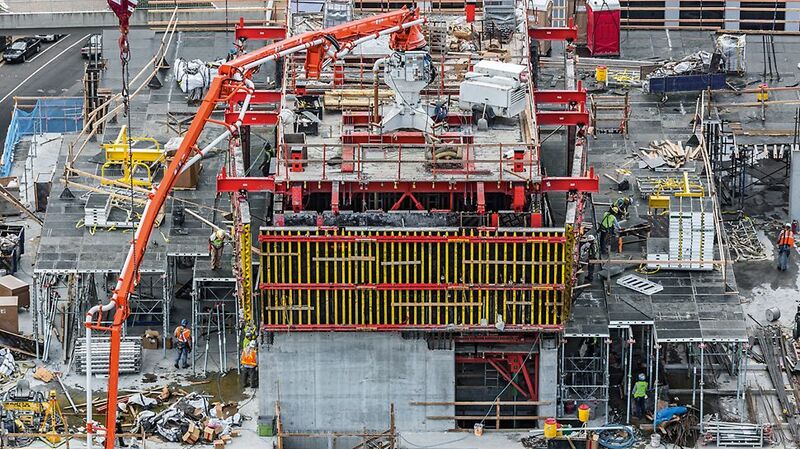 An 18” deep transfer slab makes up the observation deck at the top of the tower. "The PERI Self Climbing System is the best wall framing system I have used in terms of safety. 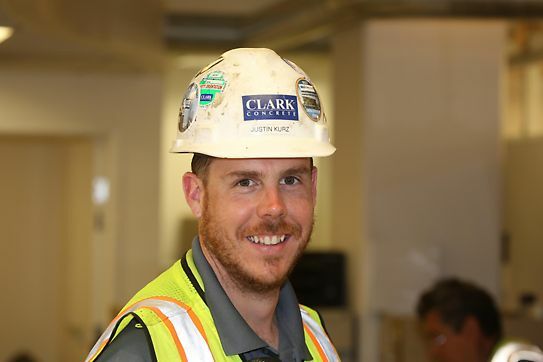 My crew and I are very appreciative of the thought that went in to this system to make it safer for us to perform our work." 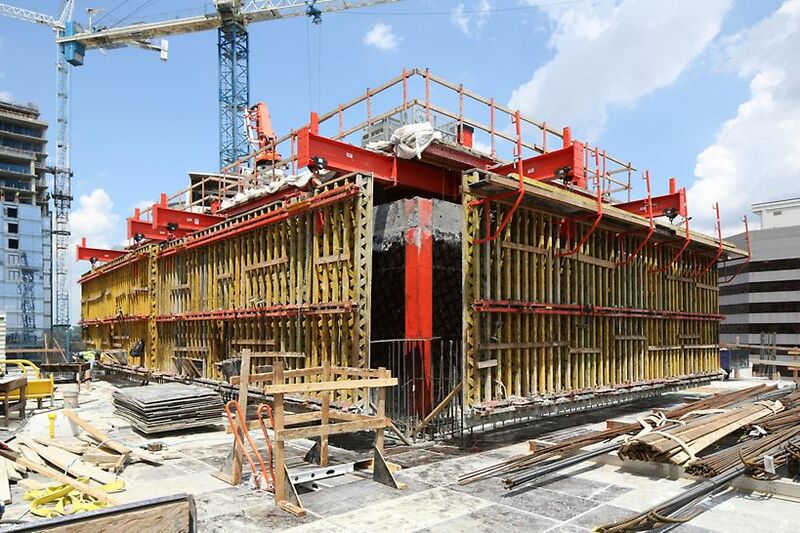 Using two PERI Self Climbing Systems enabled Clark Concrete’s crews to frame the elevator walls of both the north and south cores simultaneously and without relying on the single tower crane. That allowed the elevator walls to be poured the same as the slab, reducing per floor cycle time by at least a day.